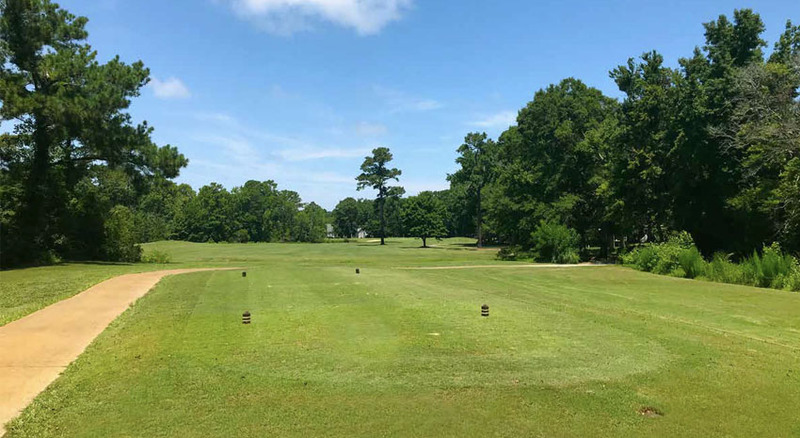 MYRTLE BEACH IS A MECCA for golfers, where literally hundreds of golf courses sprouted up at a near fever pitch until the crash of 2007 and 2008. Some of these overnight courses disappeared and golf struggled, but it now appears to be enjoying a mini upswing. Untouched by changes in the economy, The Dunes Golf & Beach Club remains a favorite of my annual Myrtle Beach golf trip. 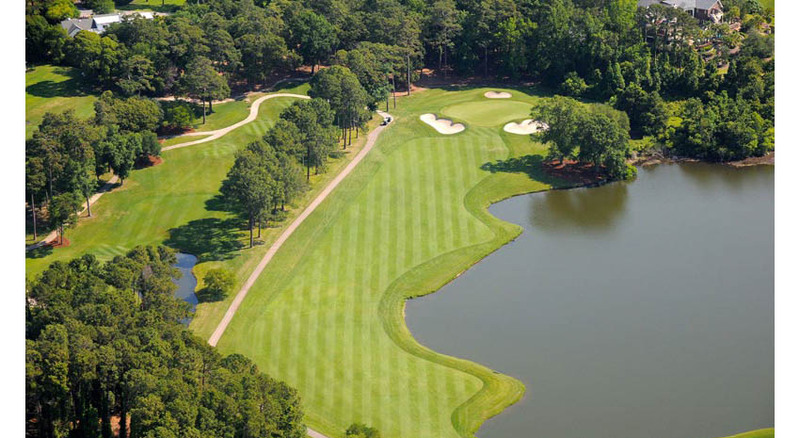 The Robert Trent Jones-designed course reigns as one of the grandes dames of Myrtle Beach, established in 1948 by a group of local businessmen. The course continues to rank well with top golf publications such as Golf Magazine and Golf Digest. 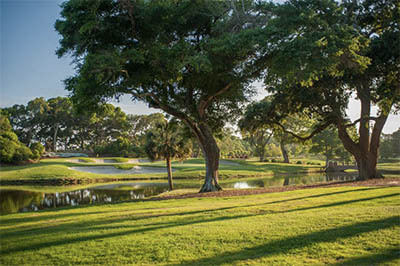 The Dunes hosted many USGA national championships and six Senior PGA Tour Championships, and most recently it co-hosted the 2014 PGA Professional National Championship. In 2013 The Dunes took on an extensive greens restoration, converting all the greens with A-1 bentgrass to Ultradwarf Champion Bermuda. This followed a renovation 10 years earlier in which Rees Jones made minor changes to greens 1, 8, 13, 16 and 18. The course is private but allows traveling groups of golfers to play. There are distinct private and public sections of the club, but you essentially play on a private course. Check out the houses on the beach as you approach the entrance, some of the loveliest in Myrtle. This was the last course played during our five days and six rounds of golf and where I secured the famed trip trophy, The Golden 8-Iron, which I had not taken in many years. Joining the trip were Gerry Gallagher, Bobby Hancock, John Kelley, Neil Curran, Wayne Weaver, Jimmy Spratt, John Ecklund and Jeff Stroble. I teamed with Neil, John and Wayne, and we decided to play the game of “wolf,” in which each hole has a new captain, or wolf, who selects a partner based on the tee shot. From the tee box you must hit over the corner for a clear shot to the green. Long-ball hitters can easily catch the right fairway bunker only 224 yards from the blue tee box, so aim way to the left to avoid this hazard. From your approach shot, avoid the deep bunkers arranged right and left slightly forward of the green. Two small ponds on the left and the right will catch errant second shots. I took myself out of contention by cutting too close on the inside elbow of the dogleg left and ended in the trees, adding a stroke. This hole can wreak havoc with your game; errant tee shots can hit the fairway bunkers on the left or cross into the wooded area on the right. A perfect shot over the fairway bunkers leaves you with an opportunity to reach the green in two, but avoid a Tin Cup move — water guards this green, and four bunkers can disappoint your approach. The green slopes back to front, and balls above the hole need just a slight tap to make it in. Neil took a shot way left off the tee, almost in the other fairway, but threaded a shot through to take the hole. 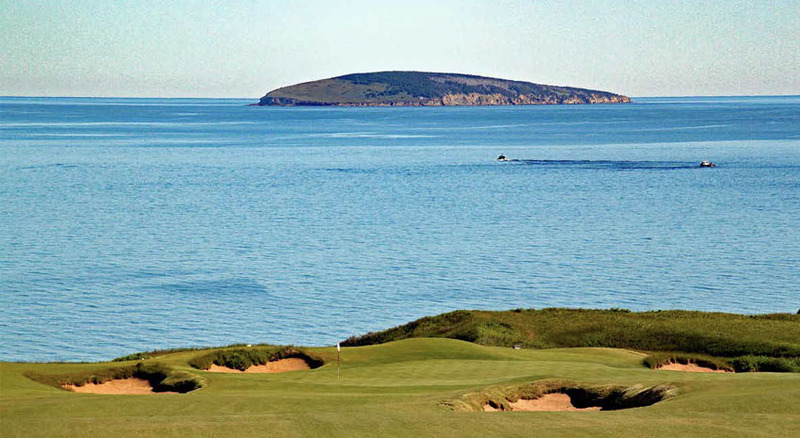 This long par 3 requires a low iron due to prevailing winds. I decided to challenge the group: me against their best ball in our game of wolf. A huge bunker guards the left side and a smaller one sits to the right, forward of the green. The green itself is elevated, so shots need to land and stick without rolling off. On the day we played, pin placement was in the most difficult position, back and left, making putting a near disaster. I hit the green and took the hole with a birdie long-putt. Neil wanted to penalize me for leaving the flag in while putting. Leave the driver in the bag and play it safe, as you could reach the second pond that lies only about 268 yards from the blues (the first pond sits right in front of the tee box). The fairway also tends to run downhill to the water. Once you land safely about 120 yards from the green, note the green is elevated and protected by four bunkers, three in the front and one in the back. The green’s domed shape also offers a little more fun when landing and putting. I was paired with Wayne, who kept his composure but was outsmarted by John Kelley’s second shot to the green for par. I stood in shock when John holed the winning putt. If 13 is a sign of bad luck, superstitious golfers should avoid this Waterloo! The Dunes’s signature hole requires a perfectly centered tee shot to the landing area of this dogleg right around Lake Singleton (full of some of the largest gators to be found), and then a near-perfect shot to cut the corner over the water. Even safe shots need to carry the water a little; true golfers will try to cut across as much as possible for a close chip to the green. A huge tier runs from the left to the front and to the back of the green. Putting from the opposite side of this green is nearly impossible. Neil was the wolf here and rejected me for Wayne (my tee shot landed left but in the fairway). From here all collapsed and our second shots placed in the lake, but Wayne and I dropped, hit again and made it over — a lucky seven, carded by yours truly, won the hole. The closing hole is no disappointment; the tee box tends to set the drive up left, which is exactly where John Kelley and I landed — in the trees and pine straw. Wayne and Neil hit nearly professional tee shots to the center of the fairway. I honestly had nothing to lose, so I let loose, sending pine straw and ball forward. I cleared the water in front of the green and slammed into the forward right trap so hard the ball bounced out and kicked left onto the fringe of the green. 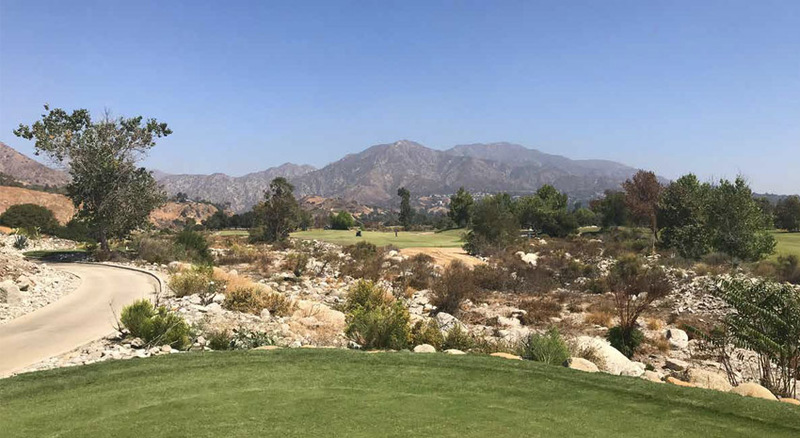 “Impossible!” was the comment from my fellow golfers. Lining up my shot to the sounds of balls splashing and sand flying from the greenside bunkers, I nailed the putt for birdie to close out the game.